A tweet on the official EA Battlefield Twitter page has revealed that the latest instalment of this popular FPS will be unveiled on 27th March. A short video accompanied the tweet, I have embedded it below. 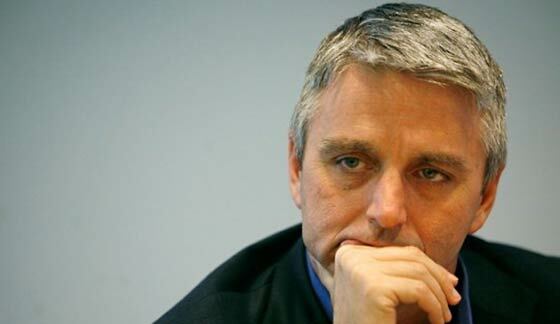 In related news EA’s CEO of nearly seven years standing, John Riccitiello, has resigned. He said he takes responsibility for EA’s recent lack lustre results including missing the most recent financial guidance goals set in January. A couple of days earlier EA sent Battlefield 4 themed invites for the Game Developer Conference (GDC) in San Francisco which read “Battlefield 4. Please join us to celebrate a new era of Battlefield, March 26 2013, 7pm.” So it looks like the schedule has been shifted by a day. We also got to see the promotional image, below, which features a pair of LAVs and an Abrahams Guardian. According to PC Gamer, this pitches the game’s setting as a modern combat environment. The game is likely to be released in autumn. In addition he said that “I am confident that the investments we have made in games for next-generation consoles will put EA in a strong leadership position for many years ahead”. Riccitiello will stay in his current position and aid the leadership transition until 30th March; the end of the company’s fiscal year. I was invited to the BF3 closed Alpha and played a lot of the beta too! When it came to final release… I was fine. I had one or two dropss from servers and such but generally had a smooth gameplay experience. My friends who I regularly game with however… well, they didn't have such a smooth time of it. On launch, the game was basically broken for them - couldn't access any servers and then when they could they'd randomnly cut them out etc. Together we've played some 300hrs of BFBC2 together. 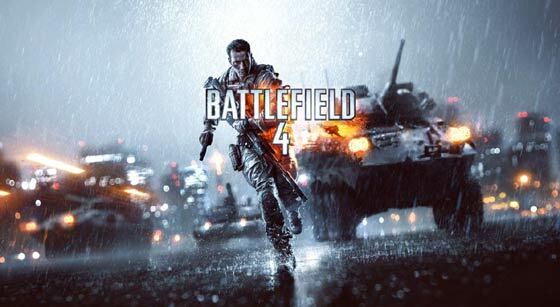 Of BF3? Less than 50. If that. And there was the whole Premium Edition thing…. I'll be interested to see what they're going to do with BF4 and how they're going to make it interesting so soon after the release of BF3 (it was only a year and a half ago - they've only just released the last DLC!) to entice BF3 players away… Frankly, I think the only *really* viable option is to make it a different kind of Battlefield i.e. you could be interested in this AND BF3. Otherwise, I don't see how they're going to make it a convincing sell given that there's still a lot of play time to be had in BF3. I encountered lots of stability issues when BF3 first came out too. I know there are plenty of other games released with some major bugs, but it did feel as if the paying customers were being treated as beta testers. The fact that I pre-ordered the game & got the ‘Back to Karkand’ add-on free, only to find it included in the Premium bundle as really annoying too. With BF4 I'll be leaving it 6 months before buying it; hopefully by then it will be stable enough to be playable, & the price might have dropped a bit too. Now, I'm excited about this… I genuinely am… There's one slight snag though… And there was the whole Premium Edition thing…. MP on the other hand surely has plenty of scope for improvements - even if it's something as “minor” as larger teams on each side. I'd love to see some feed in from something like Assassin's Creed - so special ops style missions and even perhaps ones with NPC's involved (e.g. terrorist hunt). Just no zombie hunts!